Many species including salmon, Pacific herring, Dungeness crabs and even killer whales rely on eelgrass for survival. Eelgrass is declining in parts of Puget Sound. Declines may be linked to a wide variety of factors including nitrogen pollution that diminishes available light that plants need for growth. 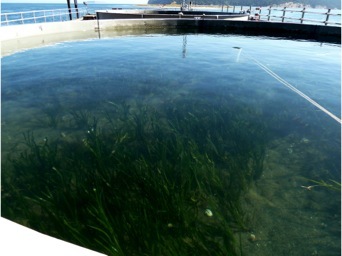 Scientists propose planting more eelgrass in suitable areas to meet recovery targets set by the state. State and federal agencies recently launched the Puget Sound Eelgrass Recovery Strategy to evaluate progress toward recovery goals. It harbors as much life as an old growth or tropical forest, and it hides in the waters just off shore. Without it, scientists say, there would be precious few salmon or herring, and little prey for orcas. It means hundreds of millions—perhaps billions—to the local economy, and chances are, most Puget Sound residents have never heard of it. 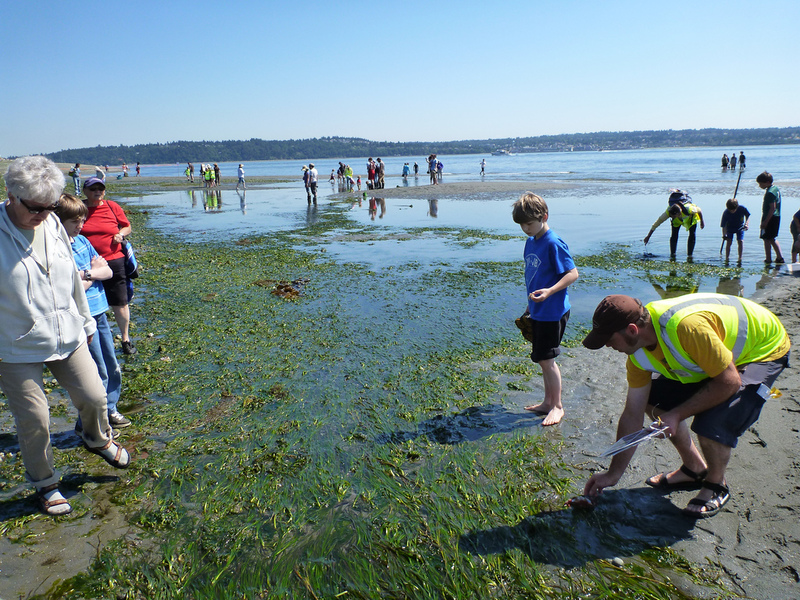 It is eelgrass, and there may be no plant more central to Puget Sound’s environmental wellbeing. “Eelgrass is critical to what we know and love about Puget Sound,” says Ron Thom, a biologist working on eelgrass restoration at the Pacific Northwest National Laboratory. Like most scientists who study the plant, Thom is something of an eelgrass evangelist. He ticks off just a few of the plant’s benefits: Eelgrass protects young salmon and shellfish such as Dungeness crabs. It stymies coastline erosion with its root and shoot system, and is central to the food web. Its narrow, olive-colored leaves house millions of tiny organisms that will in turn feed larger invertebrates, and eventually, the fish we catch and the birds and whales we watch. In short, healthy eelgrass (Zostera marina) indicates a healthier Puget Sound, which is why Thom and a group of scientists were out on the water last summer planting some unusual garden plots. Studies show that eelgrass is in decline in significant areas of Puget Sound, and scientists are looking for ways to bring it back to its historical levels. In a very literal way, they hope to plant the seeds of Puget Sound recovery. Why not just plant more? 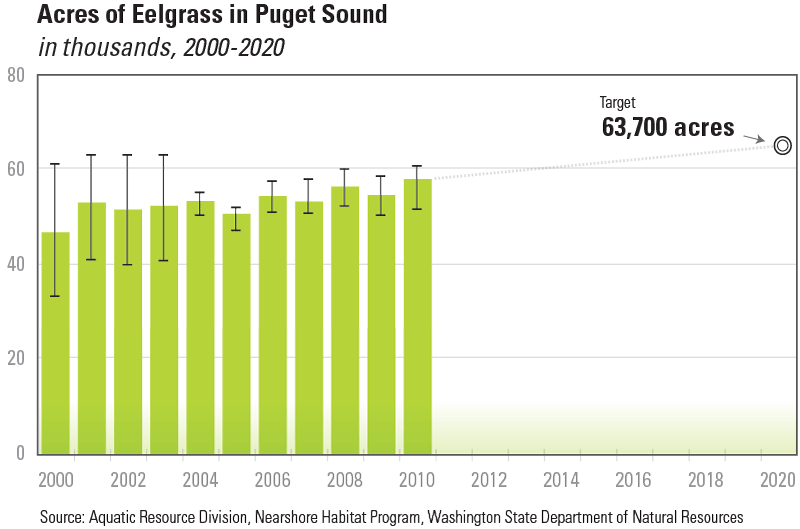 One of the goals set by the state’s Puget Sound Action Agenda is to add 20 percent more eelgrass to the region by 2020. But three years into the effort, there’s been little or no progress, and growing perplexity. 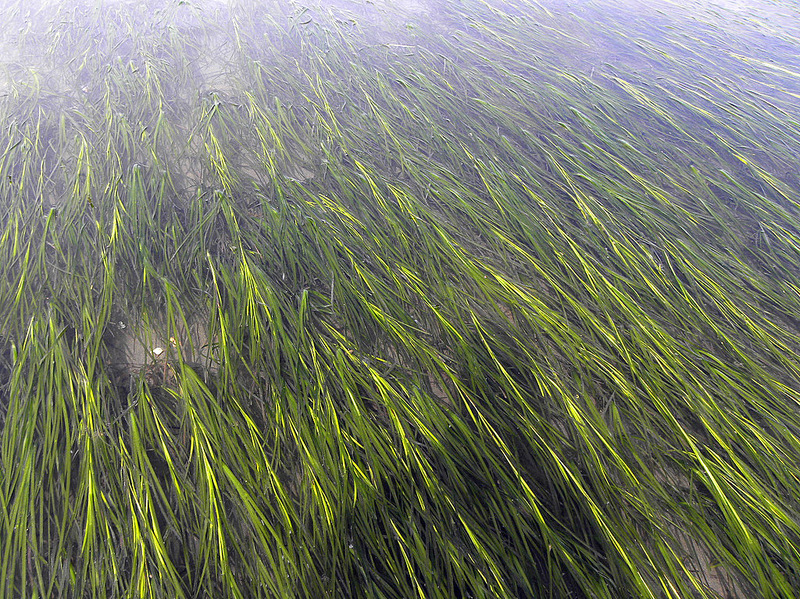 Studies show that some eelgrass beds are increasing while others are in decline. Several sessions at the 2014 Salish Sea Ecosystem Conference featured new research and possible new directions for recovery efforts. If eelgrass is declining, why not just plant more of it? That’s one of the ideas under consideration by state and federal agencies. 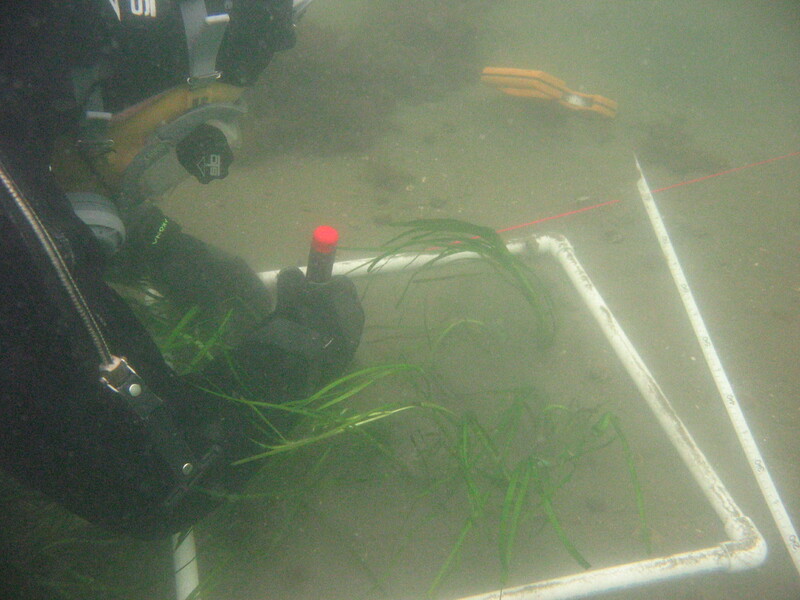 Last summer, divers planted nine experimental plots at five sites in Puget Sound, including sites of unexplained eelgrass loss. 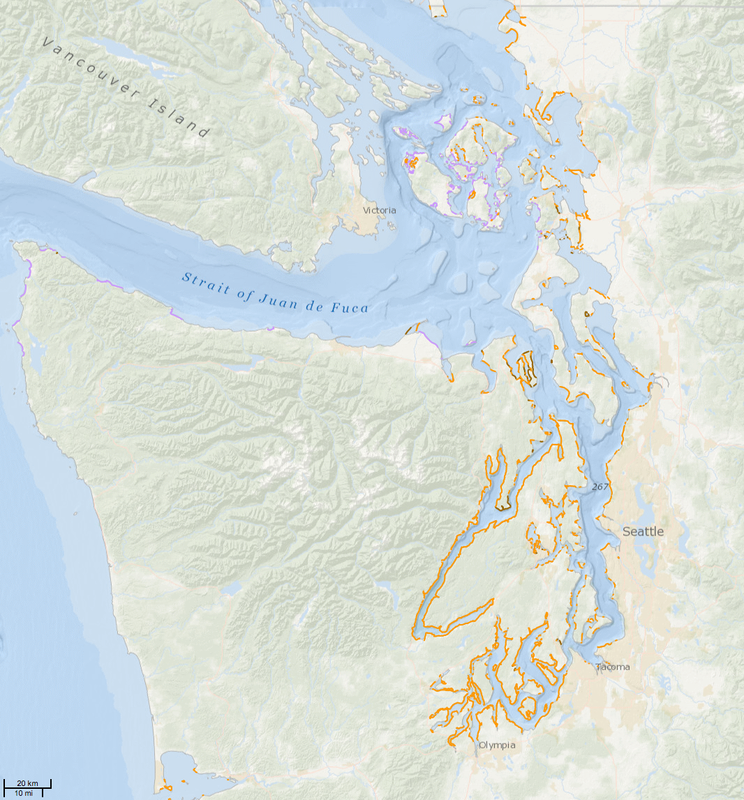 As part of the process, Thom, along with his colleagues at the Washington State Department of Natural Resources and the Environmental Protection Agency, unveiled a computer model that identifies areas in Puget Sound where eelgrass could potentially thrive. The model compiles instrument readings from across the Sound, including light availability, salinity, temperature, and depth. When the right measurements align, the model suggests a planting site. Light in particular is key, says Thom. It turns out that getting enough of that precious resource can be a challenge. Eelgrass evolved as a shade-adapted plant, able to thrive in the region’s relatively low light. But other, human-caused factors appear to be changing conditions beyond the plant’s tolerance. Wade out into the shallows of Puget Sound on a warm, sunny day and put your ear close to the water. You might catch the faint, champagne-like bubbling of eelgrass. 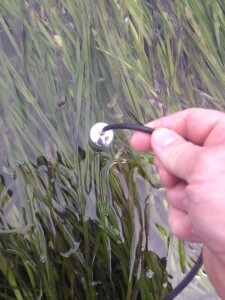 A hydrophone captures the sound of oxygen bubbling from eelgrass leaves as the plant absorbs and photosynthesizes the sun's rays. One of those factors is increased nitrogen. While eelgrass needs nitrogen to survive, too much of it sends phytoplankton, the plant’s algal neighbors into a frenzied growth that blocks sunlight. 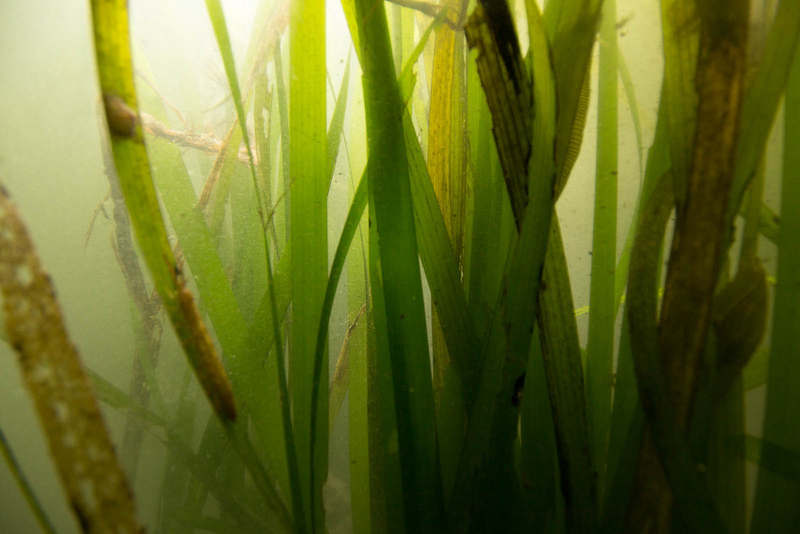 Without the light, eelgrass can’t harvest energy through photosynthesis. Fred Short of Washington’s Department of Natural Resources, has been studying this phenomenon, and says it is localized in certain areas of Puget Sound with higher pollution. “It’s an issue in parts of Puget Sound, not all of Puget Sound,” he says, but where it occurs the evidence is fairly obvious. “Stick your camera under the water and take a picture and it’s just green [with phytoplankton],” says Short. An underwater photo of eelgrass in Dumas Bay shows the green tinge of phytoplankton. Photo courtesy of DNR. Short first noticed the problem of decreasing light for eelgrass on the East Coast and has been testing whether the same situation exists in Puget Sound. As on the East Coast, eelgrass is “not growing as deep as it used to grow,” he says, “which is a good indicator of decreasing water clarity.” Potential causes include stormwater runoff, failing septic tanks and sewage treatment discharge. Runoff from dairy and meat production also boost nitrogen. The planting model seems to support that idea. It predicts less success for eelgrass near places like southern Puget Sound, where higher nitrogen levels occur. Most of the experimental plantings followed the model’s predictions, while a few struggled for unknown reasons. Last summer's work was a first step in what researchers expect to be an ongoing process. If nitrogen pollution is a significant barrier to eelgrass recovery, then scientists are not without hope. Water quality can get better, they say. “We can enhance the [eelgrass] productivity of the Sound and prevent it from degrading further,” says Short, who points to solutions like improving sewage treatment plants and filtering stormwater and agricultural runoff. Even so, scientists acknowledge that many other threats to eelgrass remain, from heavy metals to shoreline development, damage from boat propellers and dredging and even emerging concerns like eelgrass wasting disease. They also point to the specter of climate change. Paradoxically, ocean acidification, the result of increased carbon dioxide absorption from the atmosphere into Puget Sound waters, could actually benefit eelgrass because it would increase carbon dioxide used by the plant; but as the oceans warm and sea levels rise, climate change also threatens fragile habitat. Scientists say the key for them will be to adapt as conditions change and as new information becomes available. One strategy is to take a so-called portfolio approach. Some argue that responding to every single threat to eelgrass, while desirable in theory, might not be practical and could take huge amounts of resources. 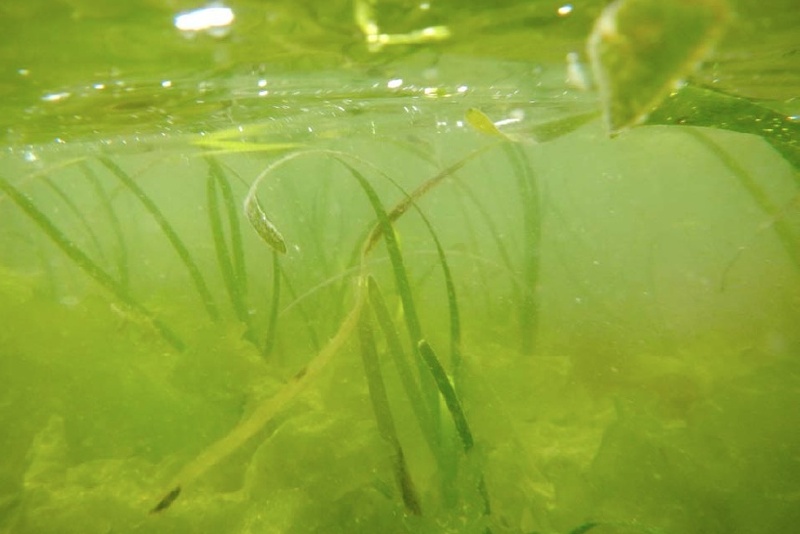 A May 2014 article in the journal Coastal Management reviewed comments from 19 scientists who study eelgrass in the region, and suggests narrowing efforts to several areas with the most potential for eelgrass restoration. The article points to overwater structures, nitrogen pollution and shoreline armoring as key focus points, and scientists are looking at how this might apply to local management actions. Just weeks before the Salish Sea Ecosystem Conference, representatives from multiple agencies including the Department of Natural Resources, Puget Sound Partnership, Department of Ecology, the University of Washington’s Puget Sound Institute, NOAA, the Samish Tribe, the Washington Association of Counties and other groups, met to launch the Puget Sound Eelgrass Recovery Strategy. The group will examine why eelgrass recovery has faltered, and will keep an eye on experiments like those by Thom and others searching for new breakthroughs. Successful eelgrass recovery efforts would mean a boon for the ecosystem, but also for the Puget Sound economy. Achieving the state goal of a 20 percent increase in eelgrass by the year 2020 would increase the number of fish available for commercial and recreational fishing in the Sound, according to a 2012 study published in the journal Ecosystems by researchers at the Northwest Fisheries Science Center. In all, the study looked at 37 different cases where eelgrass provided ecosystem services "of either provisioning or cultural value," from benefits to salmon and commercial geoduck harvests to recreational fishing of rockfish and lingcod. Take into account eelgrass as an overall anchor for the nearshore ecosystem, and the dollar return is significant. Salmon alone infuse hundreds of millions of dollars per year into the local economy, as do Pacific herring and shellfish such as Dungeness crabs. Iconic, tourist-friendly wildlife like seabirds and killer whales also depend on eelgrass for their survival, directly or indirectly. “Killer whales don’t eat eelgrass, but they do eat salmon, and salmon grow up in the eelgrass,” says biologist Fred Short. 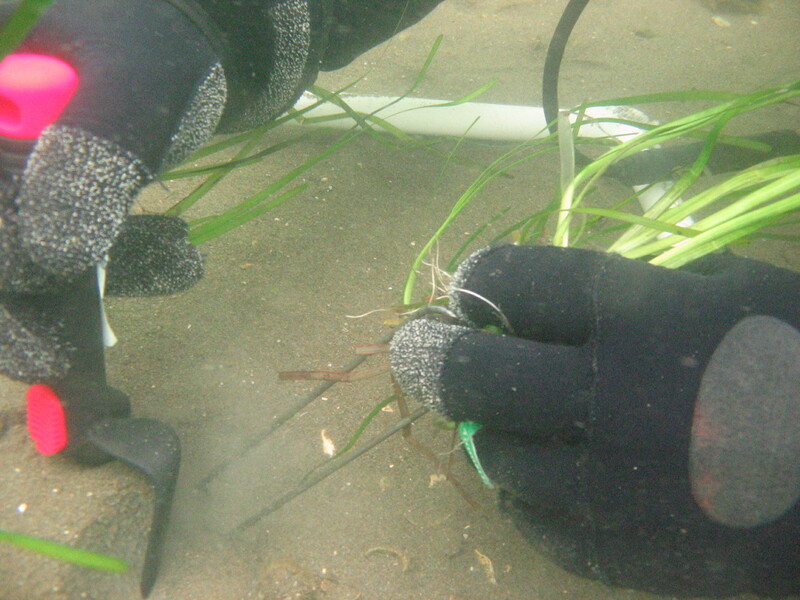 View images of the eelgrass planting program. Photos provided by Ron Thom and John Vavrinec. Eelgrasses (Zostera, Zostera marina) are commonly found in 17 distinct marine and esturine habitats in Washington state. These habitats comprise 951 miles (31%) of the 3,066-mile Washington shoreline. View this interactive map on ERMA®. 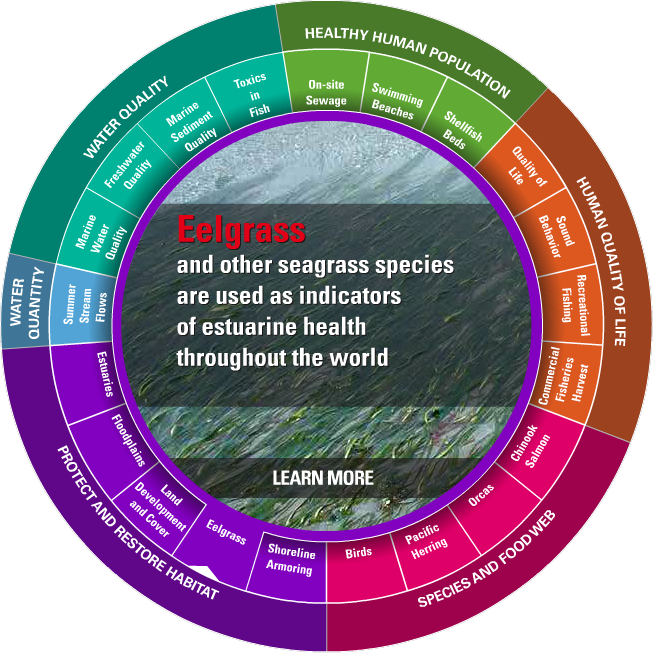 Eelgrass and other seagrass species are used as indicators of estuarine health throughout the world. Coastal Ecosytem Research Scientist, Marine Sciences Laboratory, Pacific Northwest National Laboratory. Ron, who leads the sixteen members of the CER technical group at the Marine Sciences Laboratory, has conducted research in coastal and estuarine ecosystems since 1971. His research includes coastal ecosystem restoration; adaptive management of restored systems; effects of pollution; benthic primary production; climate change; and ecology of fisheries resources. He has worked on programs in systems in California, Washington, Oregon, Alaska, Massachusetts, New York, Nebraska, Alabama, and most recently in the Gulf of Mexico. Over his 41-year professional career, Ron has directed approximately 200 multidisciplinary ecological studies. He has published five book chapters, over 60 peer reviewed journal articles, hundreds of reports, made hundreds of professional presentations, and served on numerous professional committees. From 1985-1989 he chaired the Technical Advisory Committee of the Puget Sound Estuary Program. In 2009 Ron was appointed to serve on the new Science Team that will guide research conducted by the Puget Sound Straits Commission. Because of the growing international reputation of Ron and his group, he was invited to present a keynote address on Coastal Ecosystem Restoration in South Korea in June 2009. Based on this presentation and discussions with Korean scientists and federal agency officials, he was invited to formulate a research collaboration agreement with Inha University and Chungnam University, South Korea, that will focus on a ecosystem restoration program for that county. In addition, based on discussions with scientists in China in 2009, he was invited to develop an agreement for joint cooperative research in coastal restoration with faculty at East China Normal University, State Key Laboratory of Estuarine & Coastal Research in Shanghai, China. Ron serves as an Affiliate Associate Professor, School of Aquatic and Fisheries Sciences, University of Washington. In 2010, Ron was elected to the Washington State Academy of Sciences, and presently serves as a member of the Board of Directors of the Academy. Seagrass Ecologist, Washington State Department of Natural Resources. Fred is a Seagrass Ecologist in the Nearshore Habitat Program’s Aquatic Resources Division at the Washington Department of Natural Resources. His research includes coastal ecology, seagrass restoration, plant physiology, seagrass distribution and biodiversity. He is interested in the application of science to resource management and protection. Fred is also a Research Professor in the Department of Natural Resources and the Environment at the Jackson Estuarine Laboratory at the University of New Hampshire and has studied seagrass ecosystems for the past 30 years in the U.S. and internationally. He received his Ph.D. in Oceanography from the University of Alaska in 1981. Fred is the Director of SeagrassNet, a worldwide seagrass monitoring program with 124 monitoring sites in 33 countries. He has written extensively on seagrass ecology and is the editor of two volumes: a book of seagrass research methods and the World Atlas of Seagrasses (2003). Katie Harrington writes with the goal of exciting public interest in local research and conservation efforts from her home base in San Francisco. When she's not scribbling notes about science and nature, she's working aboard sailing research vessels or bicycle touring in foreign countries. Are Puget Sound herring limited by loss of eelgrass?